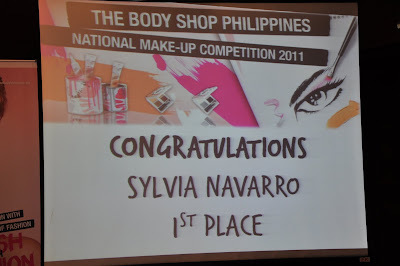 I was invited by Billie Liboro-Palabyab of The Body Shop to attend BODY SHOP Philippines Make-up Competition yesterday at the Pan Pacific Hotel, Manila. 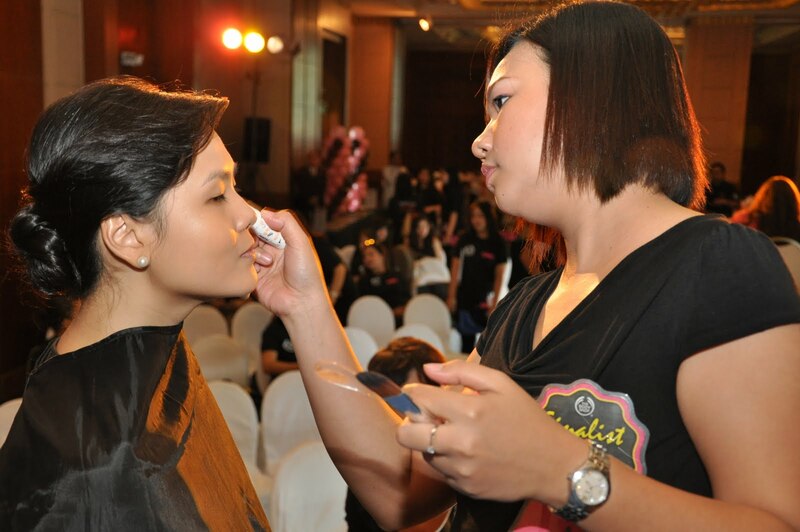 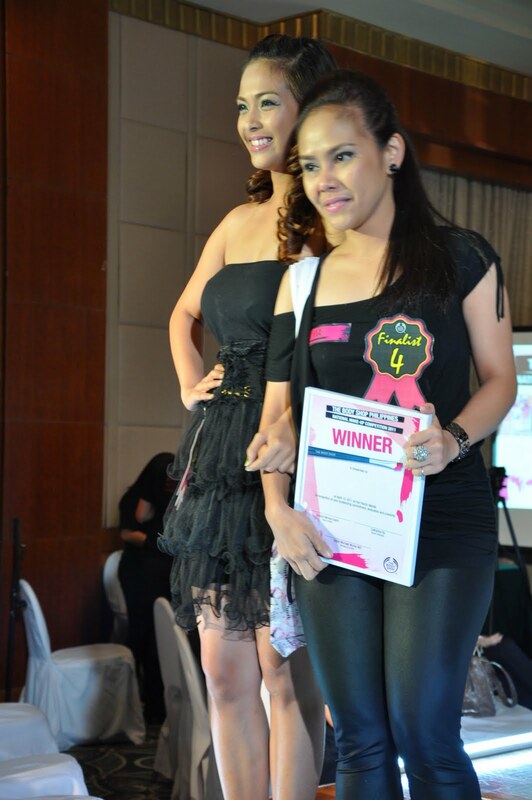 Out of 45 representatives from different Body Shop Metro Manila Branches, eight emerged as finalists. Happy and fresh faces at the registration welcomed guests and media alike. 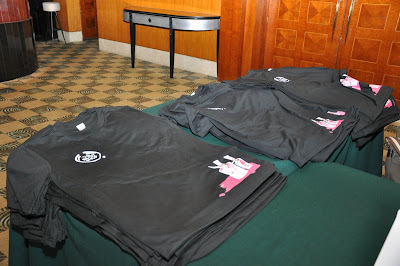 Everyone was given this black Body Shop shirt specially made for this event. The contest began with the making of "smudge chart" wherein the finalists was required to make a "draft" of their actual work. 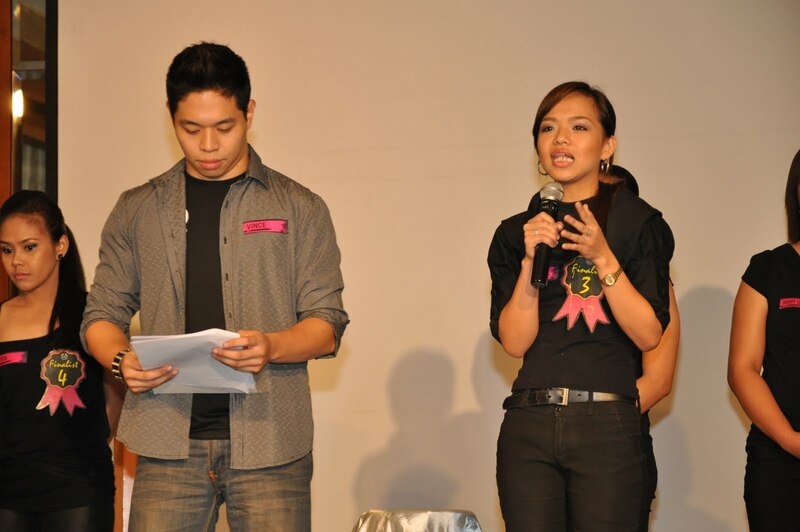 The beat was provided by Chic Deejay Trinity! 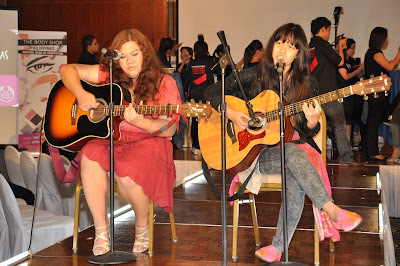 An acoustic performance by Reese and Vica Duo delighted the crowd during the intermission. 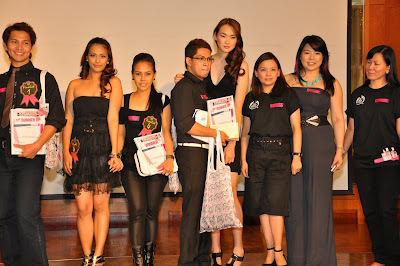 The finalists at work with their models. 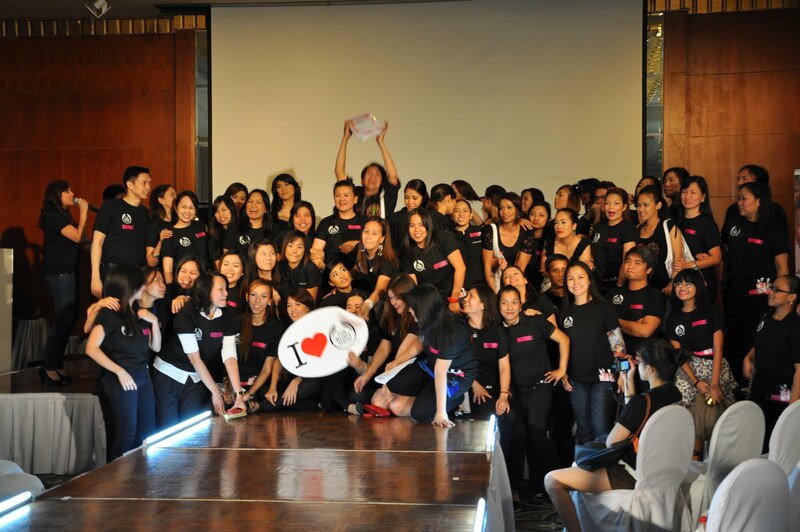 On the catwalk, the models and the make-up artists. 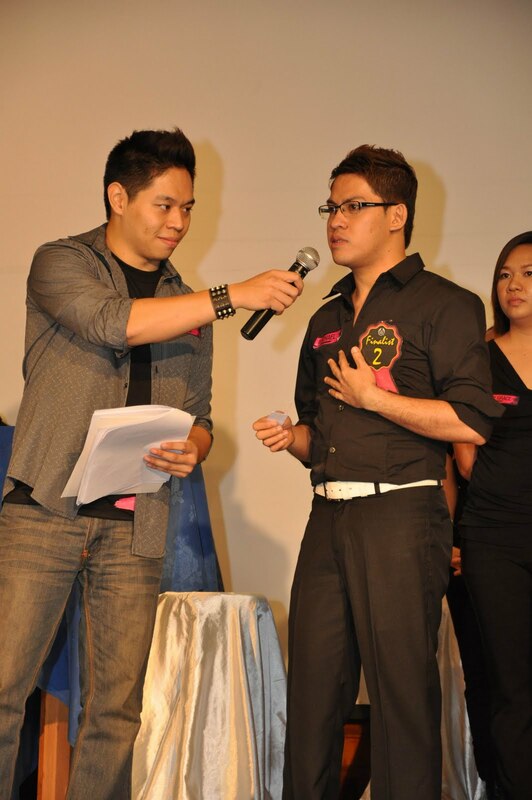 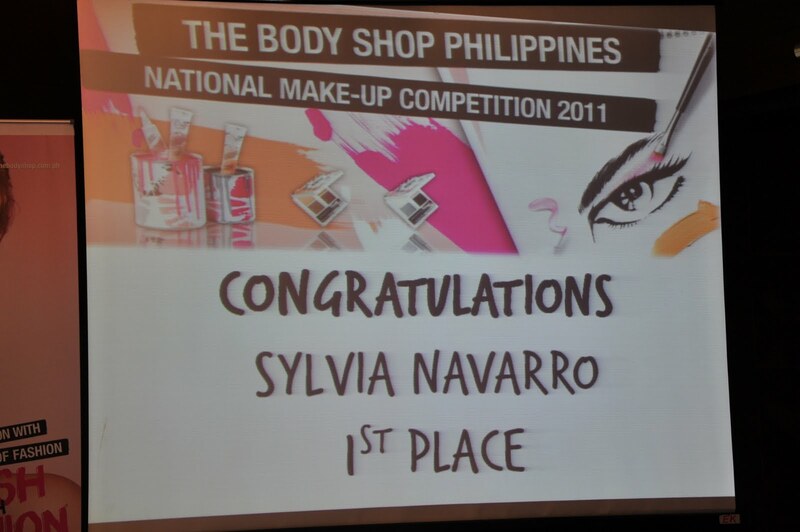 Finally, the grand winner, who will be sent to Singapore to represent The Body Shop Philippines. They look lovely in black. 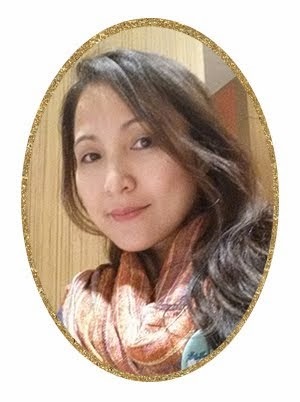 shydub, thanks for visiting here.